Difficult to fold down, difficult to detach to car seat. I loved this pram as soon as I seen it in the shop. The travel system comes with car seat, carry cot, stroller, wheels, raincover and gloves. It’s so elegant and classy and glides with ease. I love how the leather part is easily wiped. Only weakness I have is when I detach to put on the car seat or to dissemble the pram it’s quite stiff and doesn’t come apart with ease. Also when folding down pram to place in car this is difficult, the two front wheels need to be placed a certain way before it will fold. Very easy to push and turns great. Also looks fantastic. Very lightweight when pushing. Great pram for babies comfort and really easy to push with a lovely suspension super bouncy and great on the eye got loads of compliments only bad thing is it's very heavy, I live in a flat so struggled getting the pram.up and down the stairs on my own its also hard to fold up and down until you get the hang of it apart from that it's a beautiful pram. 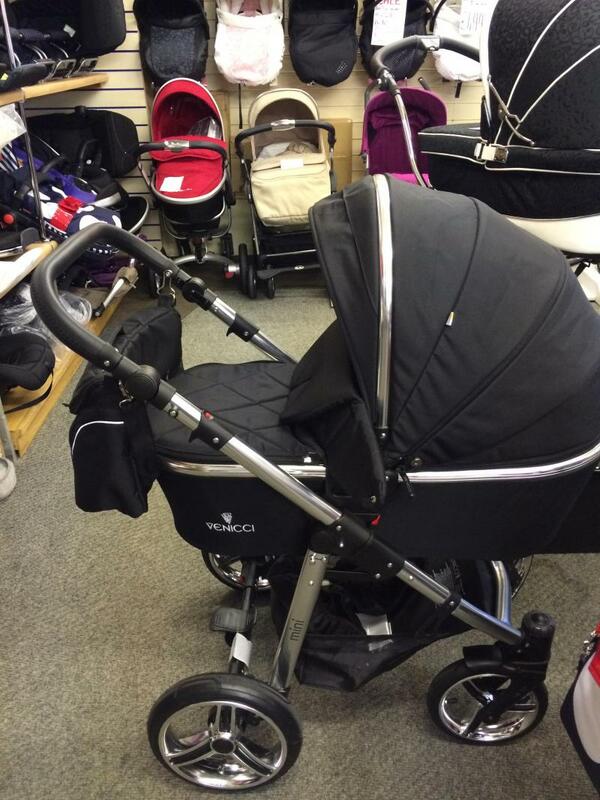 This pram is a great pram and cannot fault or but it is quite bulky to fit through some spaces. Cot part is large so does baby for a long while. It’s light and easy to use and very easy on the eyes which was exactly What we all need an all in one to do these days! It could do with a good isofix for better stabilisation in a car but other than that I really liked it. We had the Venicci in black for our first who is now 3. 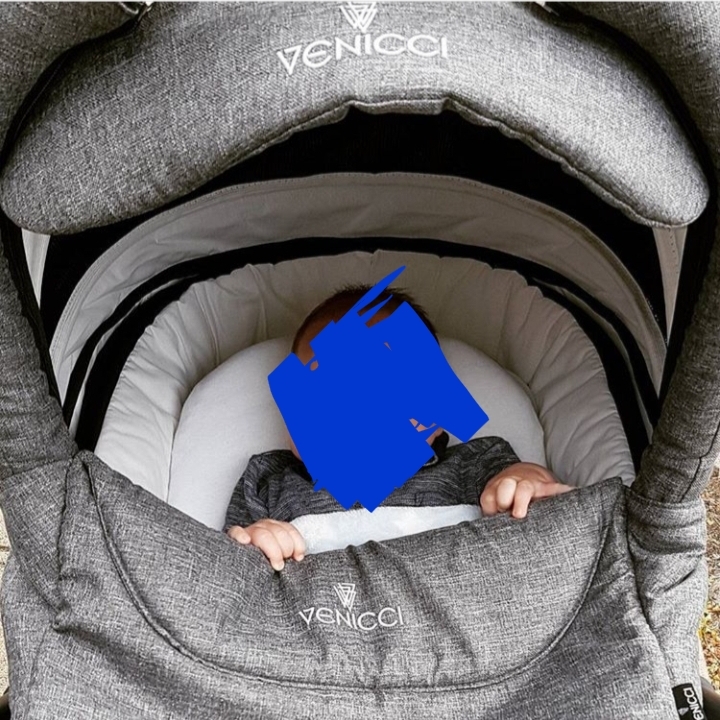 The Venicci has plenty of room and can still fit our son in it now at 3. It’s suspension makes it very easy and smooth when using for baby and yourself and it’s easy to manoeuvre. 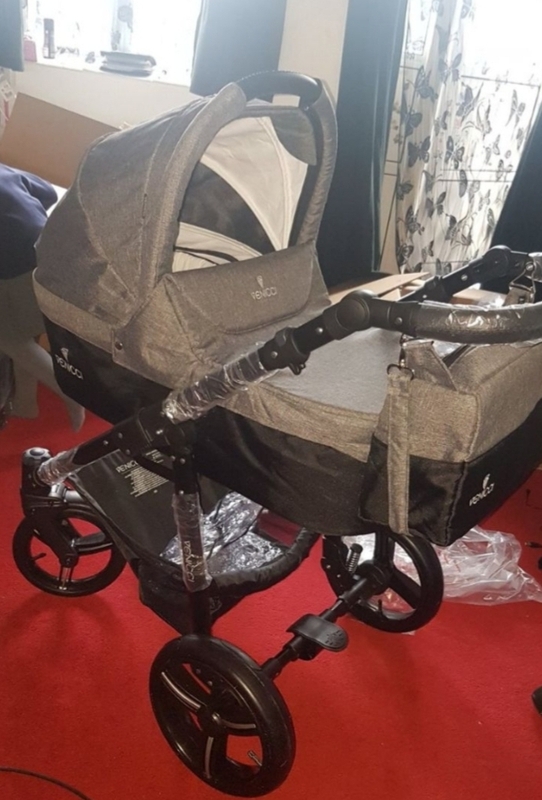 It’s great value for money and we definitely had our worth as the pram has travelled around the world, been bashed around and is still in great working order. 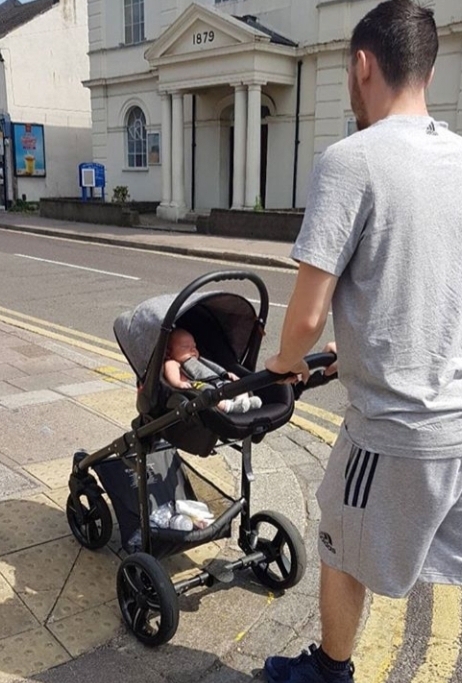 The only downfalls would be the size as it is quiet a bulky pram needing lots of space which sometimes was an issue in small shops. It also took up a lot of room when folded in the boot of the car so wouldn’t be ideal if you only have small boot space. As well the wheels are air filled, ours did very well with the amount of use and the different types of flooring it was used on, however we did experience one flat tyre. I personally would recommend this pram in a heart beat. I decided to buy a new pram for our second and completely regret not using the Venicci again. I fell in love with the venicci (mine is the gusto in black) as soon as I came across it, found a shop to see it in person and still loved it, i had to pump one wheel up when I first got it, and popped the inner tube, I then got a metal filling from a footpath that popped it in the first week! Eugh! First shopping trip the material ripped slightly, I may have over done it though! 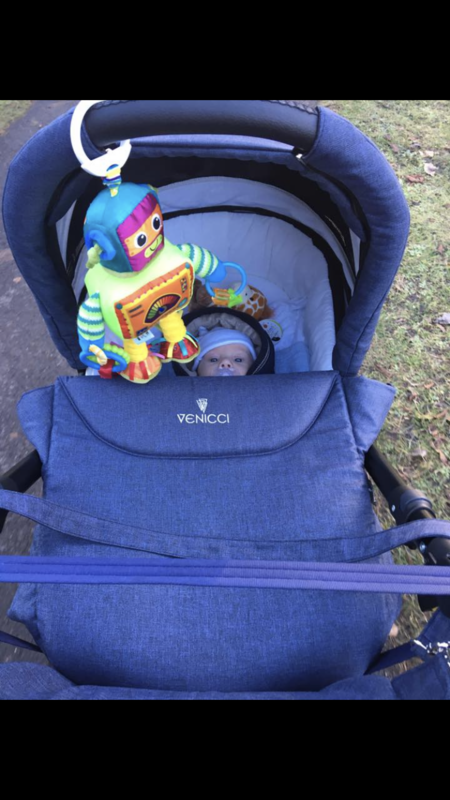 I still use and love this pram 10 months later, it is.a slight pain to fold down with wheels having to face inwards, but all in all for pushing and style and comfort I'd recommend!! Easy to steer. Looked sleek. Built to last. Heavy. Seat unit was bulky. We chose the black framed blue denim fabric venicci. We found to very easy to steer and it looked very sleek. The carry cot was spacious and it was easy to unfold. We did find it very heavy tho. The seat unit made it bulky. I felt it was good value for money. Looks good, great for walking long distance, good suspension. 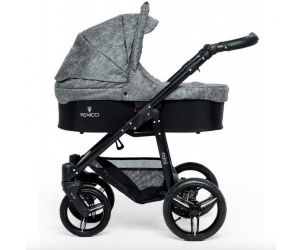 I love the Venicci travel system. After months of debating which one to go for we chose the grey material system. It looks great and wipes up well with any spills. It has great suspension and was perfect for taking long walks during the summer months. 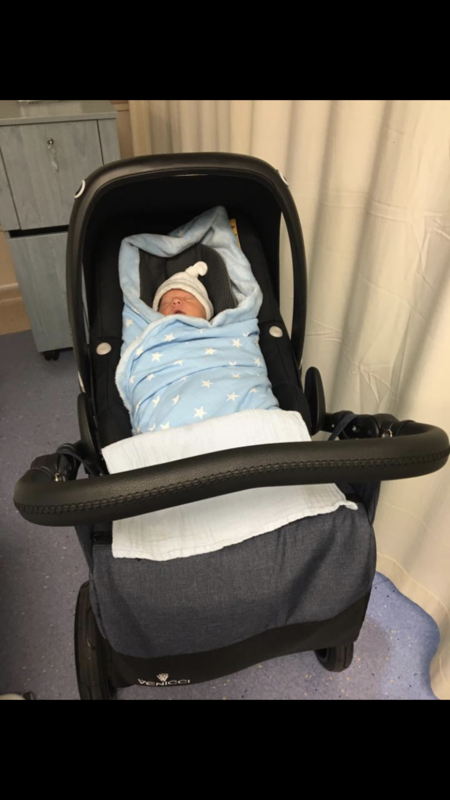 Unlike my friends who had other brand travel systems my little one was able to stay in the pram for a lot longer than those with other brands as the back sits up allowing him to see what was going on round about when he got a bit bigger and wanted to sit up. It meant he could be sat up but i could alsooie him flat and keep him cosy in his pram getting longer use out of it. When moving on to the buggy there is plenty of room and baby seems secure and comfortable. The hood is large ensuring baby is cosy in the bad weather. There is a decent amount lf storage underneath the travel system for bags and it comes with a handy changing bag which looks good too with lots of room for going out and about. Not to forget the bottle carrier which attaches to the side of the pram - handy for coffees on the go for tired mummys! 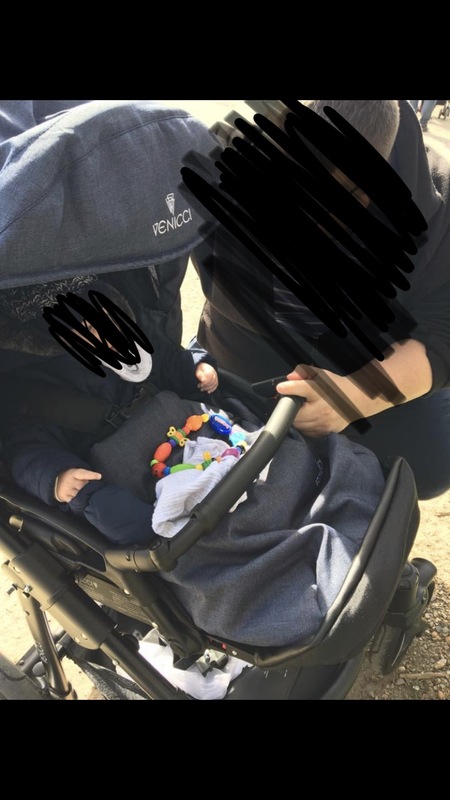 The only real downside I have found is to fold it you need to take the buggy section off which isnt ideal for getting on and off buses if alone with baby! Overall a great product and good value for money. Gets lots of compliments when we are out and about as it looks so nice! Enjoyable.. Nothing extra special just looks the part more than anything. Great if you're into your designer gear. We bought this and it's amazing great quality. Looks just as good as the photos. Easy to steer one handed, helpful for parents with more than one child. Suspension it amazing for going up and down footpaths. 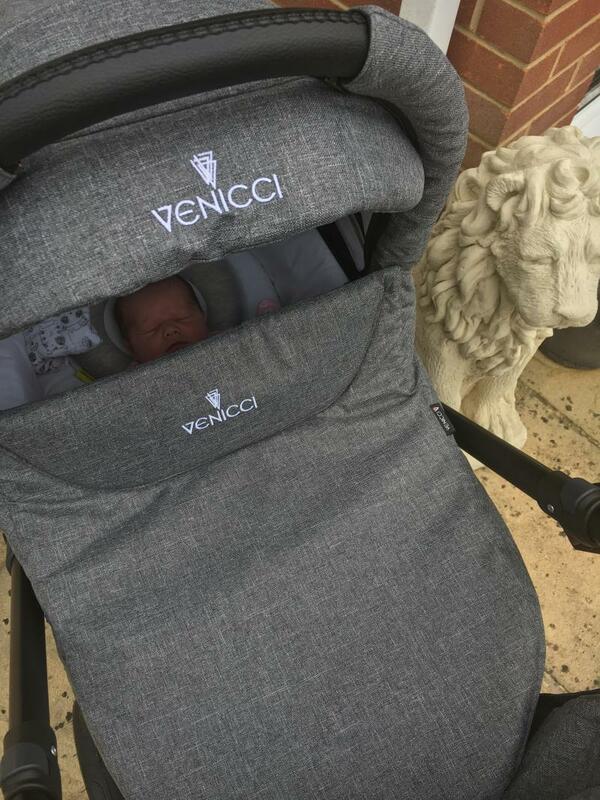 I bought the venicci travel system as for less than £600 it was a complete bargain! 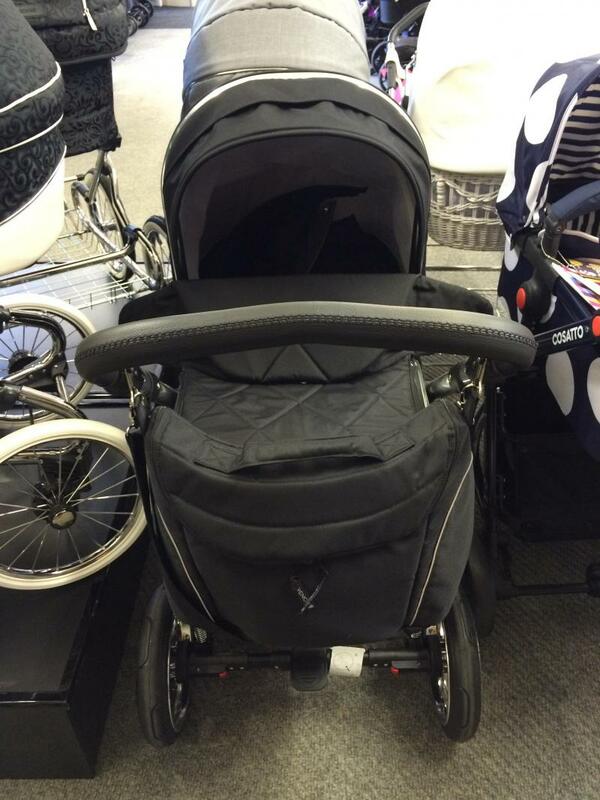 We got the pram, pushchair seat, baby bag, raincover, cup holder & car seat! I love how big it is & with having an October baby, our baby is always snug inside. She’s also a colic & reflux baby so being able to raise the carrycot really helps us. The downside to the pram is that folding the chassis is difficult, I struggle bein a disabled mum as it’s really hard to push. If the wheels aren’t a certain way it won’t push. The baby bag isn’t as big as what I’d like & the fabric is a bit flimsy. But other than that it’s locely to push & has amazing suspension! Plus lots of colour to choose from. This is value for money and is easy to use from your baby being born. 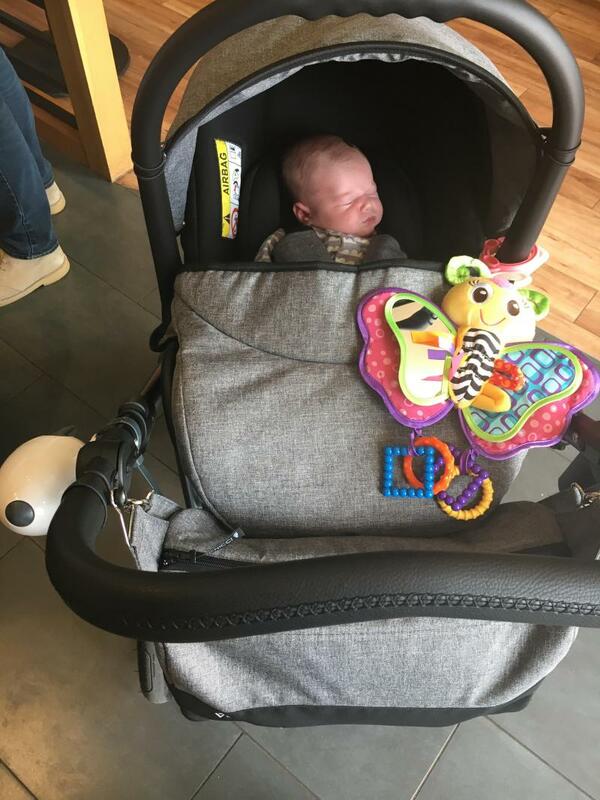 The fact that it comes with a car seat is invaluable as you do not need to keep getting your baby in and out when you need to go anywhere. It is easy to collaps and fits well in the boot of the car. 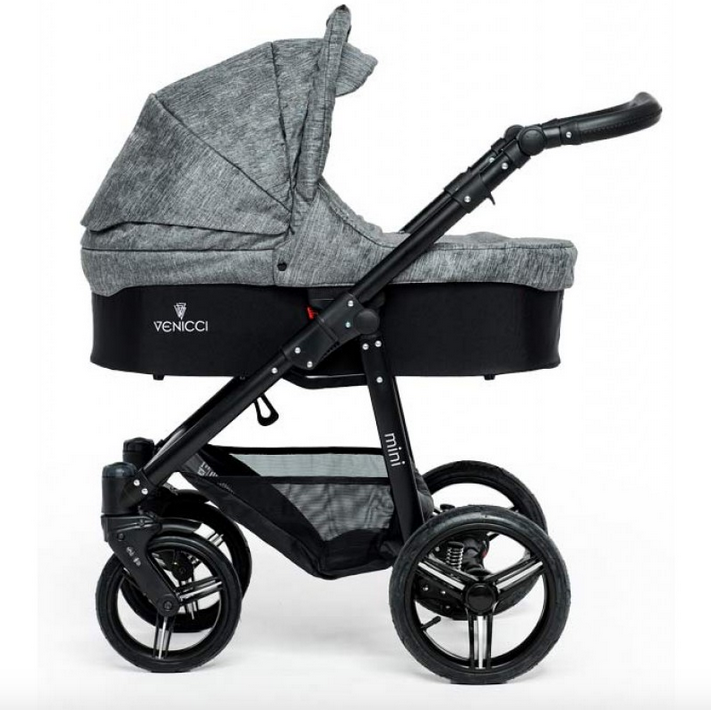 The Venicci Mini Travel System features a chassis, carrycot, seat unit and chair seat.